I stopped by my buddy's Cigar Shop yesterday to experience the La Gloria Cubana Inmensos which is exclusively made for La Case del Habanos stores. What can I say, but yet another wonderful LGC blend! Well-balanced body, smooth draw with different aromas from floral accents to freshly cut wood. The burn characteristics make all the viable elements of this cigar comes out fresh from the first draw. This 54 gauge offers a subtle and ample smoke that continues to carry different exciting aromas and tastes. I recommend this cigar to be enjoyed after a good meal or preferably after dinner. It will go well with the Nespresso limited edition ONIRIO blend. 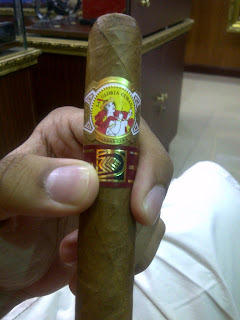 La Gloria Cubana produced only 50,000 Inmensos cigars (Thats only 5,000 box-of-10s to be sold world wide!) and I had the pleasure to smoke one and I'm keeping the other for a special occasion. If you are a fan of Sublimes, I strongly suggest you get a hold of one of these cigars before they go up in smoke. 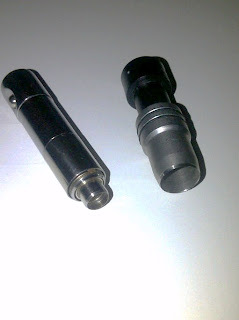 A nifty stainless steel bullet puncher with a 10mm diameter ring size perfect for all 40+ gauge cigars! 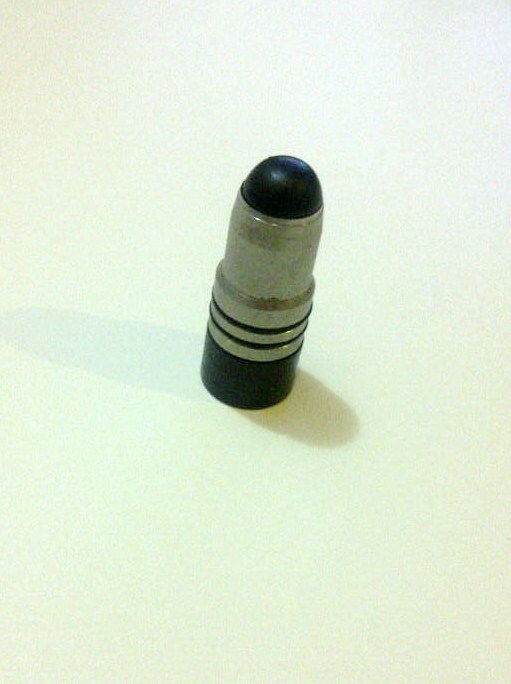 Comparing to the classic Havana Puncher which has a 6mm diameter ring size, this bullet puncher is a durable, clean and cheap collection item for your on-the-go pre-evening cigar preparation. 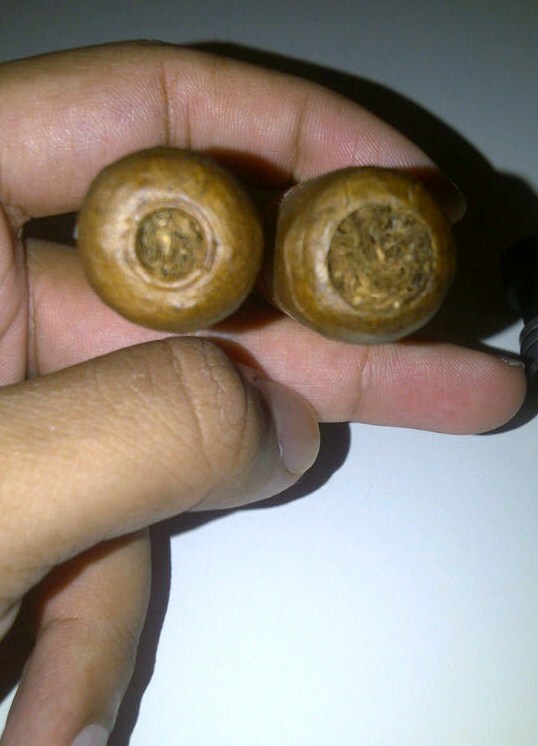 The major difference when using 10mm diameter size on a 40+ gauge is not only it evens out the draw, but it also eliminates the tar build-up at the bottom which tends to gives out bitter burnt taste as you reach halfway on your cigar. The end result is a clean cut/punch on your 40+ gauge cigar without resorting to smaller holes that will change the taste! If you are looking for one of those nifty punchers, I got mine from Jashanmal's Davidoff Tobacco store at Marina Mall (Kuwait) for less than $4! 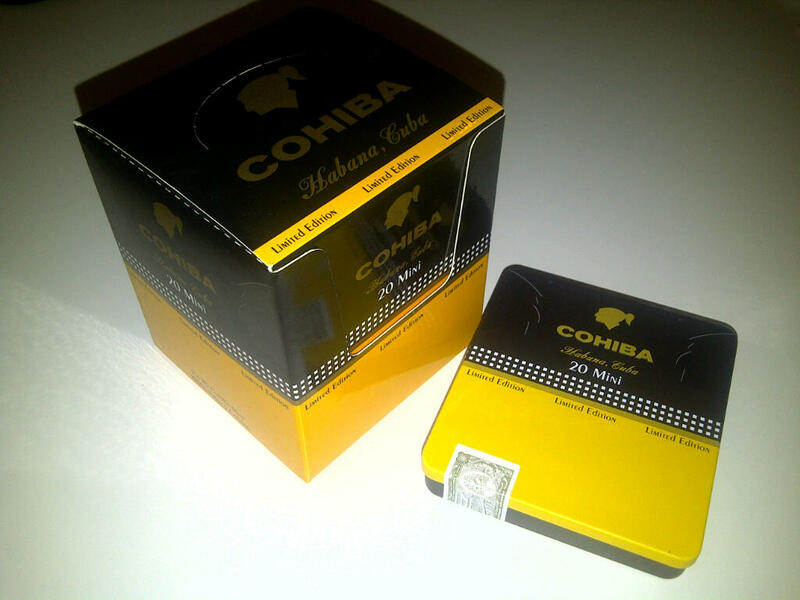 Yet another wonderful collectors item from COHIBA I picked up while I was in Abu Dhabi the past weekend. 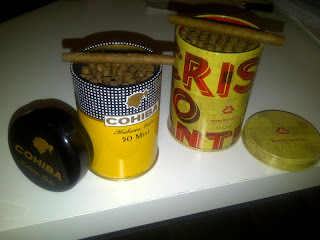 Limited Edition Mini cigarillos Tin of 20 is perfect for a travel case. The smooth matte finished with an embossed COHIBA logo makes this item a classier companion than the regular paper pack of 10s or 20s. Its definitely an eye catcher! If you are like me, whenever you crave a smoke but don't have the time to indulge in your favorite cigar, Cohiba or Montecristo Mini & Club Cigarillos sizes will get you through the day! I smoke the Mini's or Club's Cigarillos when I'm on the go or at the office and sometimes while driving (specially during rush hour to ease the stress). Although its nothing close to smoking a perfect cigar, but at least the tobacco fillers are from the same plant leafs used to making habanos. 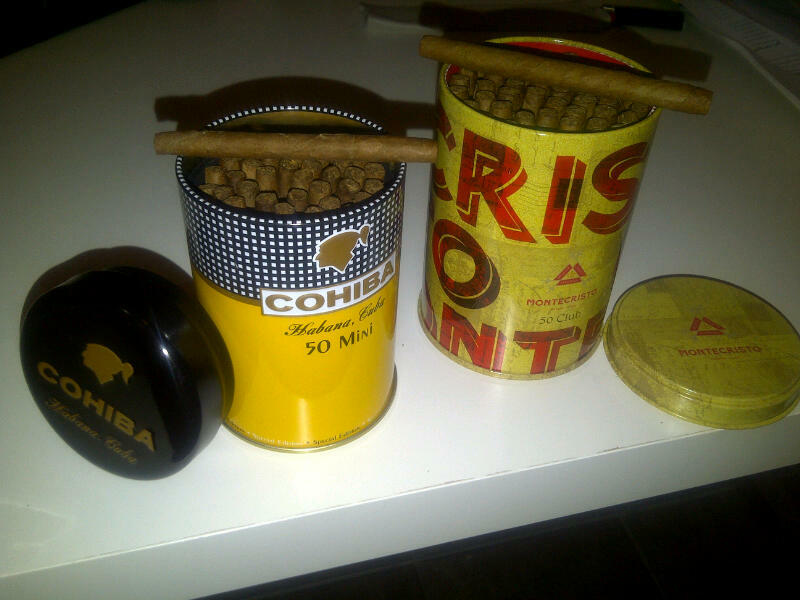 The Cigarillos usually come in a pack of 10s and 20s, but the new Special Edition Tins packs a 50 of these time savers! These Tins makes a wonderful table-top item on any office desk! They have a good air-tight seal to avoid dryness, and you can always refill it! I always wanted to try the MC Open series, but sadly where I live they tend to bring only the brands that are commercially produced (although nothing wrong with 'some' of them) or usually arrive late or very limited quantity with an over-priced tag. I happened to come across on my recent travel a very nice box of 20 MC open REGATA. I dont know about you, but if I was not told this was a REGATA & was blind-folded, the first sniff of the fresh-opened box I would immediately say this is a Montecristo blend! The fresh earthy-woody smell with the smooth outer wrap are just a few characteristic of the MC. With every new brand cigar I light up, I tend to use a back-end of a matchstick to burn (Its my thing - and I doubt it makes any difference, but to heck with it! I have my own rituals). The first draw brings in a strong spicy smoke which quickly settles after the second puff. This cigar brought me back to my very first cigar that I smoke (discontinued Sinatra's - which i still have a few saved in my humidor which I will review later). 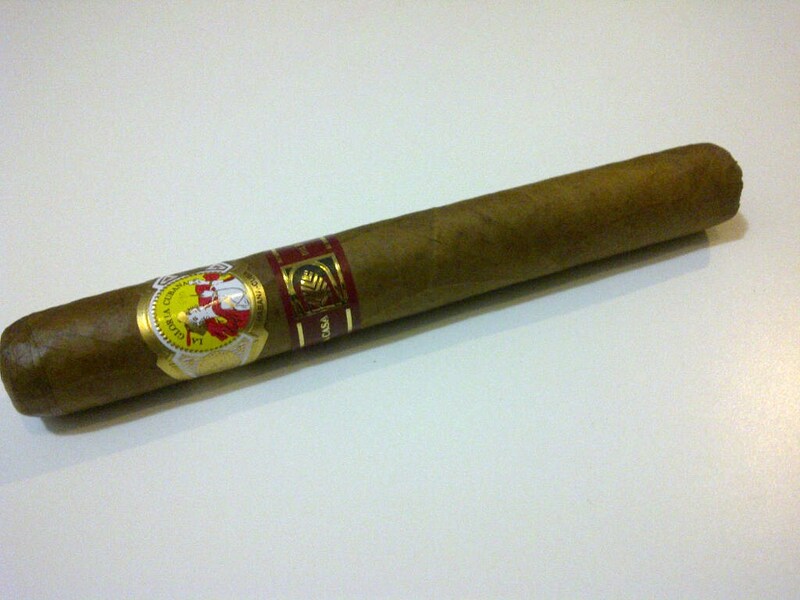 The nice thing about this cigar is the Forum shaped but shorter length than usual. The drag is smooth and offers an abundant smoke. As you near the middle, the spiciness of the draw fades away and you are welcomed with a more subtle sweet woodiness flavor. 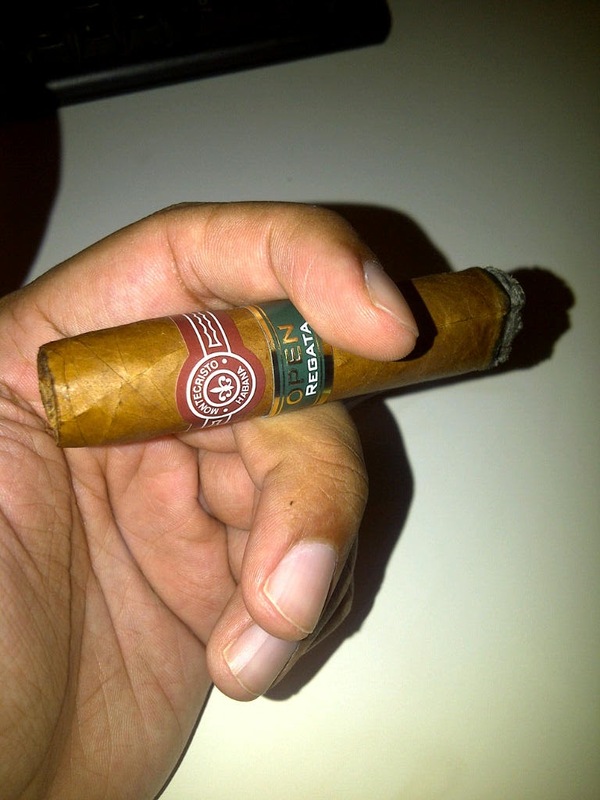 This cigar can be pleasing for the non-experienced newcomers as well as the most sophisticated smoker. 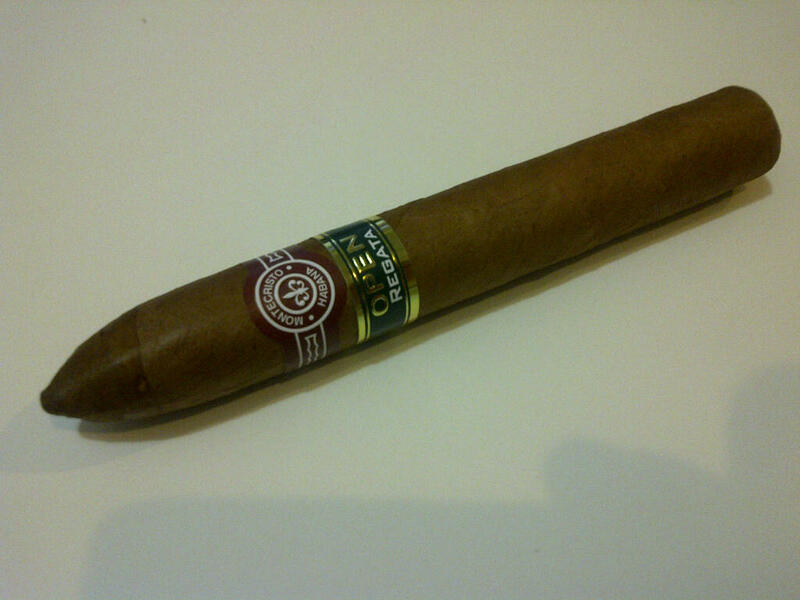 Montecristo Open REGATA is another well honored blend that should definitely deserve a try. First Entry - By no means do I call myself an expert! I'm a mere aficionado that fell in love with cigars since I was 21 years old. A little more than decade later, I dared myself to venture out and acquire a more sophisticated appreciation to these wonderful work of art! Lastly, I would like to share with you one of the things that made me say "Ok thats its! Im starting my own blog!" , is the many bad reviews I read about the Montecristo Open series. These Beautiful crafted cigars are just a perfect example of how Montecristo blends can deliver unique and tasteful experience! yes I'm smoking the REGATA as I type and I will follow this entry with a well-deserved review.